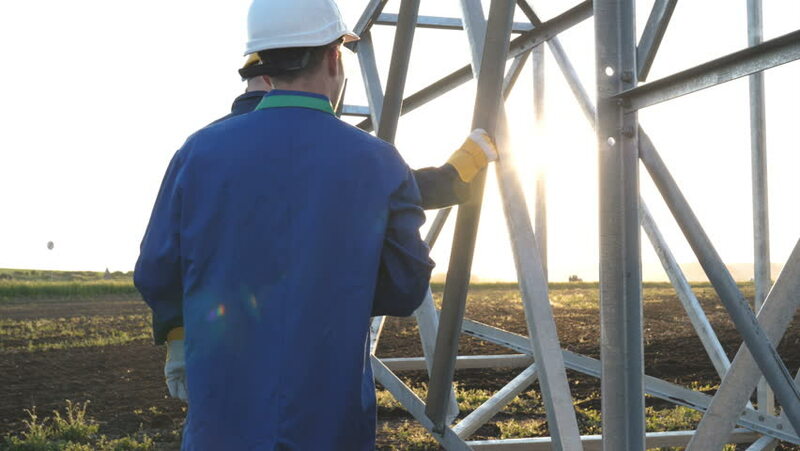 4k00:15An electrician or builder and engineer, in a blue robe, in a yellow and white helmet, check the technical overview for strength, prepare electric poles, an electric tower, energy, and workers. hd00:28YEKATERINBURG, RUSSIA - SPRING AND SUMMER, 2011: Convicted offenders on obligatory works. Manual labor. A prison.